Solar Tariffs Once Again Fall to INR 2.44 per unit – Will the Sun rise or set in India? Solar tariffs once again touch its lowest price of INR 2.44 per unit in a recent SECI auction. The 2000 MW solar capacity was auctioned by SECI where 600 MW was won by leading Indian installer Acme Solar at the lowest bid of INR 2.44 per unit. The solar tariffs in India have seen a fall after rising steeply throughout the year reaching INR 2.94 – INR 3.54 per unit in recent bids. India had witnessed a price of INR 2.44/ unit earlier, for projects at the Bhadla Solar Park in May 2017. 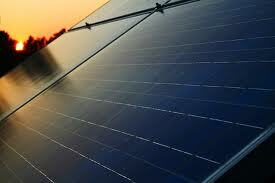 Also, read about Solar Parks in India. You can very well imagine the cutthroat competition in the Indian solar industry by having a look at the difference in bid prices above. The solar industry in India is witnessing a confusion regarding the imposition of safeguards duties which have been a cause for rising tariffs. But given the absence of safeguard duty and a slowdown in the domestic Chinese solar industry, the developers continue to import large quantities from China. In fact, over 30% of exports from China was into India in 2017. We at Greenworldinvestor had already highlighted this issue and raised concerns about falling tariffs as the Chinese demand slows down. If the government wants to impose safeguard duty it must do it right away, otherwise, it will be too late. Though falling tariff is a good thing in India, as it will further boost installations and help to achieve the humongous solar target that the country has set, it will definitely hamper the domestic manufacturing in the country. We would have been happier if this fall in tariffs came from improving efficiency in the domestic solar manufacturing. That said, it is sad to admit that India lacks the sophisticated solar equipment that is being currently imported from China and other neighboring countries. ISMA, the Indian Solar manufacturers association have been pestering the ministry for an imposition of safeguard duty in order to save themselves from a crisis situation. However, even they and the ministry is aware that the state of manufacturing is dismal in India. If duty is imposed, tariffs are bound to go up and the big question is whether India can afford that at this point in time. If a duty is not imposed and the Chinese local demand continues to slow down, who knows the Indian solar tariff might further fall. So tighten your seat belts to witness this roller coaster ride in India!